GET OVER 30 YEARS OF INDUSTRY-LEADING EXPERIENCE ON YOUR SIDE. We know there are few things more important than seeing your lumping and logistics operations run smoothly and efficiently. And that's exactly what we've been helping our clients do for more than 30 years. We've taken what was once a raw and undeveloped industry and transformed it into a structured, accountable, and standardized service — one focused on saving our clients time and money. Our commitment to quality in legal lumping has helped us build a solid reputation for dependable service, one focused on upholding warehouse, carrier, and vendor relationships. Most importantly, you'll gain the peace of mind that comes with knowing your inbound operation is being managed by the most seasoned company in the industry. As a privately owned company, we represent a strong and independent alternative to the corporate giants. We're fiercely committed to the people on our team — all experienced and dedicated experts in their fields — and our people are committed to you. That entrepreneurial spirit has made us a lumping and logistics leader, proudly serving Fortune 100 and 500 companies, along with some of the finest grocery and foodservice providers in the U.S. We bring the same passion for lumping excellence to every account, no matter how large or small. It's this authentic "boots-on-the-ground" approach that our clients depend on. It's no wonder so many of our clients call us their competitive advantage. Together, we're certain we can create great results. Getting to know this business takes time, so we invest in our people. We work hard to attract and retain talented, committed employees. The result is a well-organized, highly trained, fully equipped, safety-minded, and extremely focused team that delivers results that go beyond expectations. Every member of our executive and management team has worked first-hand on the dock — even our owner. It's just another thing that makes us different. In an industry where workforce training and screening are often neglected, we've gathered a fully-screened, highly motivated, and union-free lumping workforce ready to produce results for you. Change happens smoothly when it's put in the right hands. From day one, a dedicated and experienced account manager will work with you to set the foundation for your improved operations — creating structured processes and the trained teams needed to implement them. After a comprehensive assessment, we will help you identify areas where the biggest gains can be made, then fine-tune them with a range of turnkey solutions tailored to your needs. And all changes are implemented in a timely manner to ensure the maximum level of stability with no disruption to your daily activities. What would it be like to have your docks managed down to the minute? Let us show you. 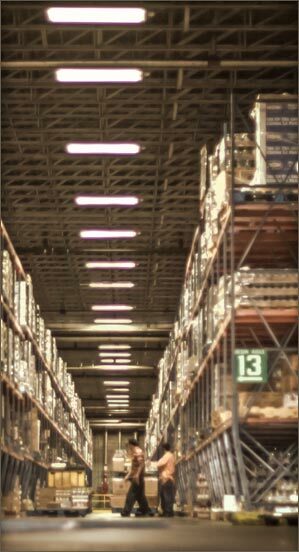 Our decentralized plan of operations means we provide the best possible service to each and every warehouse, no matter where you are located or the size of your facility. What you get is a standardized, turnkey operation that is cost-driven and staffed with lumpers who understand the science of the perfect pallet. From beginning to end, our proactive On-Site Team knows which trucks are headed their way, what they're carrying, and when they're expected to arrive. When a truck pulls up to the dock, our team members are the first point of contact for the drivers, handling all the front line work. Paperwork is entered in our scalable, full-business system quickly, KPI are identified, and the process moves forward without delay. 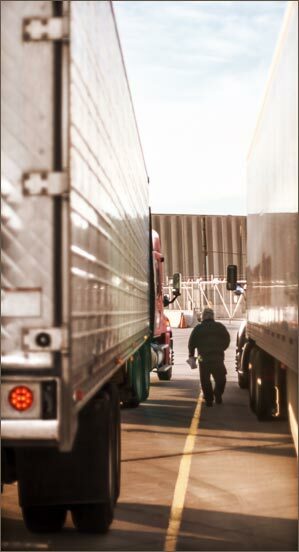 Our services deliver dock flow, not just truck flow. 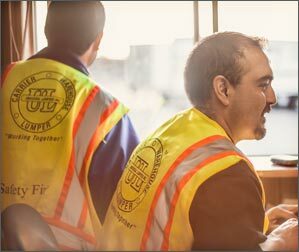 Our freight handlers are on the Team Pay system — the only one like it in the industry — resulting in a faster unload that drives down the cost per truck, an even flow to the workload, and no congestion. Your on-site dock operations will become so effective that it will literally keep drivers off your dock and in their trucks. Collecting data is essential in identifying opportunities, and inbound operations are rich in potential savings. Our Reporting and Analysis Team provides you with an unmatched window into your entire workflow — gate to gate, minute to minute. We crunch every last metric, assessing key data elements and defining value drivers to turn your data into meaningful, results-oriented reporting. Together, we can use it to highlight new potential efficiencies and cost savings. For comprehensive management of legal, financial, auditing, and internal controls, Universal Chain is the company you can rely on. We're a conservative-minded team of experts with an above-board, open-book policy that you can turn to for trusted management, sound banking policy, and E-Verify compliance.